Starting in early 2018, adding Instagram as a conversational channel in Re:amaze must be done through your Facebook Page. Due to the deprecated API on Instagram's end, all new Instagram integrations going forth must be done via Facebook's updated API. 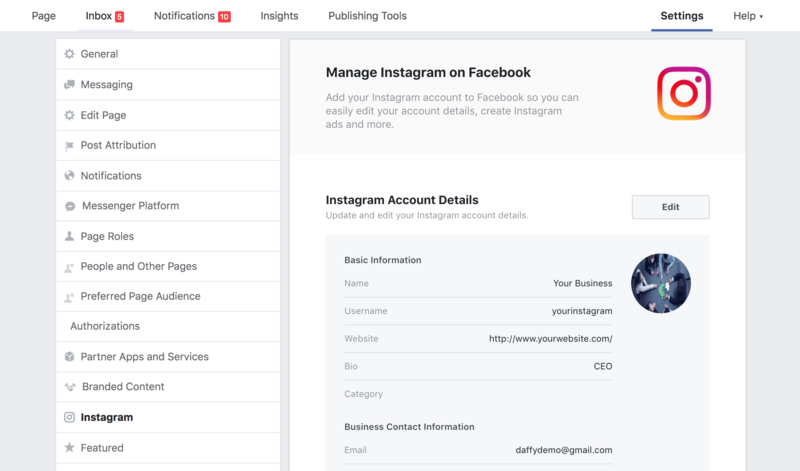 In order to add your Instagram account to Re:amaze through your Facebook Page, it must be connected to your Facebook Page as a "Business" account. You can apply for a new Instagram Business Account here or convert your existing Instagram account into a Business account for free. Simply look for the option to do so in your settings menu on Instagram. 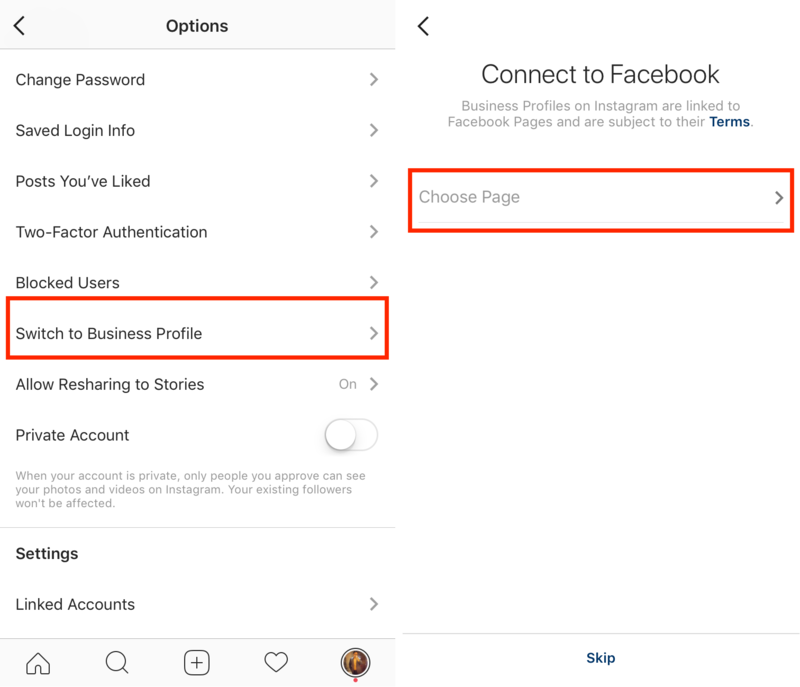 Once you have an Instagram Business Account connected to your Facebook Page, please verify to make sure everything is set up properly in your Facebook Page's settings menu. It should look something like the following. Now you're ready to connect everything to Re:amaze. 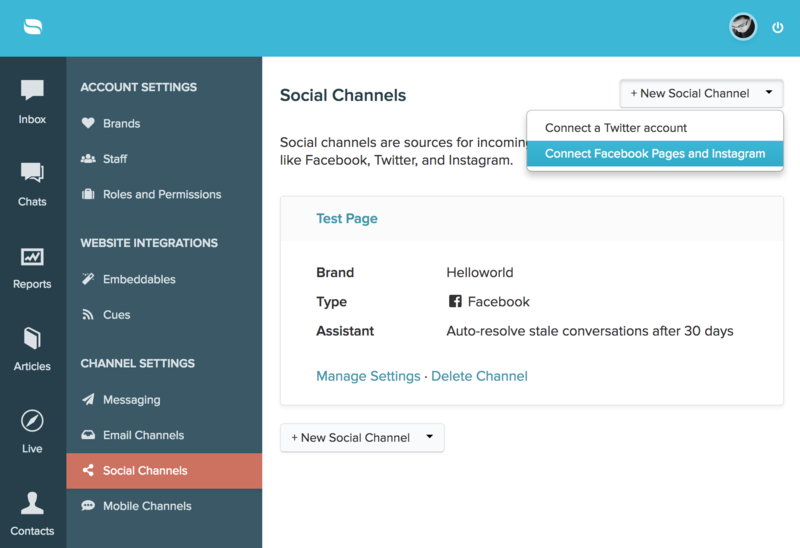 Start by going to your Re:amaze Settings menu and select the "Social Channels" feature. Once you're there, you'll be prompted to connect a new social channel. When prompted by Facebook for access to permissions, make sure you select OK and accept all the items requested by Re:amaze. We will need your permission to read, post, and access customer profiles for Instagram. Once you've authenticated the permissions requested and have made sure you're the full admin of the page, you'll be taken back to Re:amaze to select which Pages and/or Instagram accounts you'd like to connect. After you've selected which Instagram account you'd like to connect, you can scroll down and select the import options for Instagram. Note that we currently do not support Instagram Direct Messages because Instagram's and Facebook's API does not support this publicly. Already have an old Instagram channel connected? If you currently have an Instagram channel connected through Instagram's legacy API, you will first need to delete the old Instagram channel and follow the instructions above for reconnection. 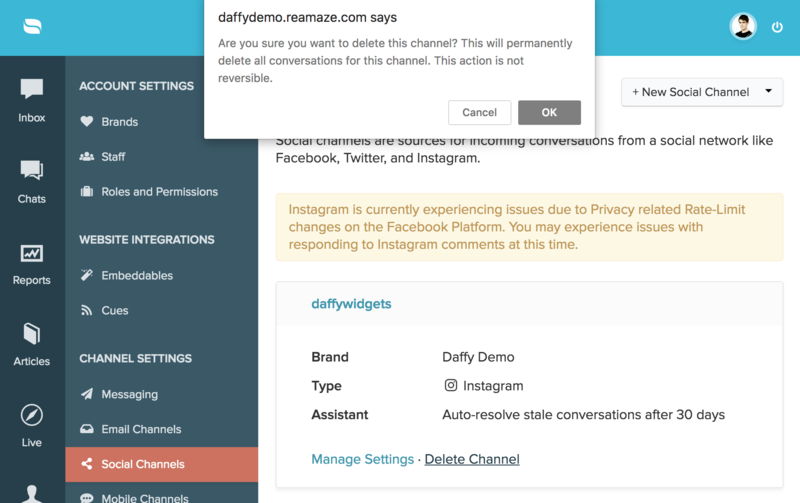 Deleting your Instagram channel will also delete all existing Instagram conversations within Re:amaze so please perform any house-cleaning before deleting your Instagram channel. You’ll want to select the default recipients, import settings, and notification mode. The “Smart” option will only import comments that are questions or mentions (either sentences ending with ‘?’ or starts with ‘@’). The “Smart” notification mode will also only notify when messages come in with ‘?’ at the end or ‘@’ in the front. The default setting is to import all and notify on all. Once you’ve connected your Instagram account, make sure you check a few threads to see if all the pictures and comments are present. Do you support private messages for Instagram? Unfortunately, we do not currently support private messages via Instagram. This is because Instagram has not opened up their API to allow 3rd party apps to access private messages. We're working with Instagram to improve this in the near future.